High blood glucose levels can cause complications related to birth, pregnancy and diabetes. This article looks at the consequences, plus causes and remedies for high sugar in pregnancy. • Nonwhite race. Although the scientific backing behind this is still contested, women from Asian, American Indian, African American and Hispanic races are vulnerable to high blood sugar levels during pregnancy. Babies born to pregnant women with elevated blood glucose levels have more weight than normal (higher than 8.8 pounds at birth). This condition is known as macrosomia. The condition occurs when the fetus receives an excessively high amount of blood glucose from the mother through the placenta. In response to this high glucose level, the pancreas of the baby responds by producing more insulin, which is the enzyme that controls the blood sugar levels. The insulin converts the excess sugar to fat, leading to a child with abnormal size. 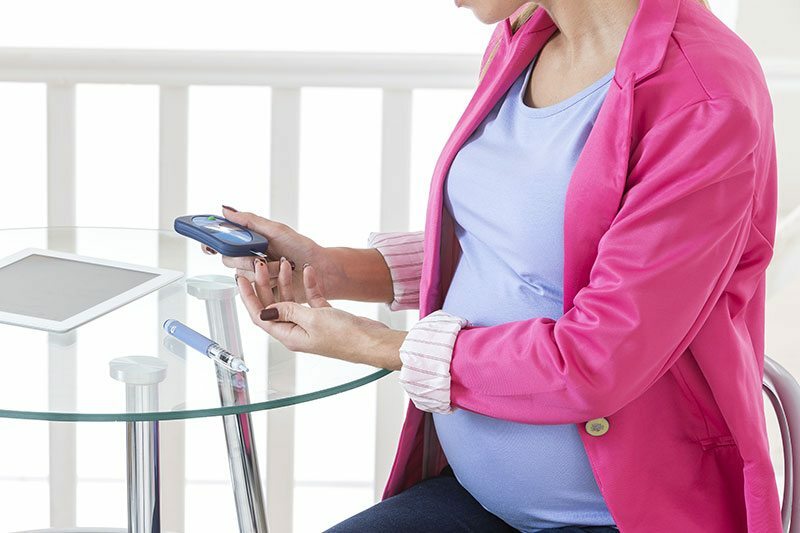 When the mother’s blood sugar level is excessively high, especially during the last 24 hours before delivery, the baby’s insulin may be over-consumed to balance the equation. As a result, the child may be born with excessively low amounts of insulin, leading to low blood sugar levels in the baby’s blood. High blood sugar may cause early labor, leading to preterm, which is a condition in which the child is born before the due date. A baby born before the due date may develop respiratory distress syndrome, which is the difficulty in breathing. The newborn child needs glucose to remedy this condition. Additionally, babies born to mothers with high blood sugar may develop Type 2 diabetes and obesity later in life. If the high blood sugar is not addressed, it may result in stillbirth. High blood sugar may cause a pregnant woman to have complications during and after delivery. For instance, the mother may have difficulty in giving birth the normal way, i.e. via vaginal birth. This may be due to an abnormally large baby. The mother is forced to give birth through Caesarean section. Gestational diabetes puts the mother at risk of developing preeclampsia, a condition that causes high blood pressure. Also, just like in babies, it may cause Type 2 diabetes later in the life of the mother. 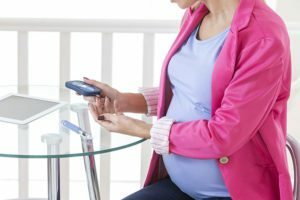 Mothers with gestational diabetes also risk developing the same condition in their future pregnancies. • Eating a healthy diet. This involves seeking the advice of a dietician who will help in crafting a healthy eating plan. Although the mother should eat a balanced diet, the diet should include a reduced amount of carbohydrates to avoid raising the blood sugar levels. • Physical exercises. These work by helping the body insulin to work effectively in regulating the sugar levels in the blood. However, physical exercises should be done on a regular basis for better results. Two and a half hours each week is healthy. However, the exercise should be moderate enough not to overstrain the pregnant mother as this may result in other pregnancy complications. Ideal physical exercises for pregnant women may include swimming and walking. It is advisable to consult with the doctor about the physical exercise plan. • Insulin shots and diabetes medications. This is applicable, especially, where other methods such as regular exercises and balanced diet fail to work. Diabetes medicine and insulin shots help keep the blood sugar levels within normal ranges.